The Acting President of the Federal Republic of Ambazonia, His Excellency Dr. Samuel Ikome Sako has called on all Southern Cameroons liberation groups to overcome their differences and take a unified front in supporting the Ambazonia Self-Defense Council Restoration Forces. President Sako through Ambazonia’s Communications Secretary Chris Anu warned on Tuesday against any Southern Cameroons organization pursuing a unilateral resistance policy regarding French Cameroun military illegal activities inside Ambazonia territory. Dr. Sako observed that his decision on My Trip to Buea will be made earlier than expected and added that Southern Cameroonians needed a unified approach that addressed the interests of all Ambazonians and the international community. 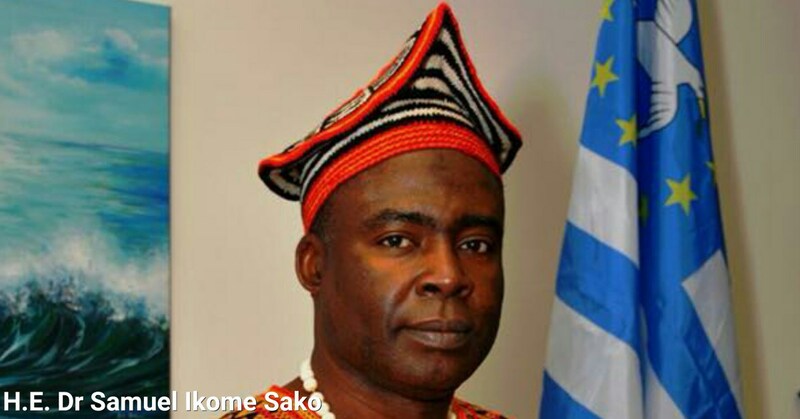 Delivering the message from President Dr. Ikome Sako to the people of Southern Cameroons, Hon. Chris Anu further stated that the Interim Government (IG) will not act unilaterally, but that everything under the direct supervision of President Sako will be with agreements with other leaders on Ground Zero, so that Southern Cameroonians will always have a unified Ambazonia approach. The Acting President also opined that Southern Cameroonians in Europe, South Africa, Canada and the USA should and must stick together and continue to donate generously to My Trip to Buea. Over the past two years ever since President Biya of Cameroon declared war against the people of Southern Cameroons, more than 40, 000 Ambazonians have fled the conflict into neighboring Nigeria. The United Nations reported recently that there were 160,000 internally displaced Southern Cameroonians in need of food, shelter and medicinE. Chris Anu in his audio message acknowledged that the IG was lacking far behind the two million dollar target for My Trip to Buea.